Do you have a baby shower coming up or just curious to see what you are having? Here is a fun product to try. 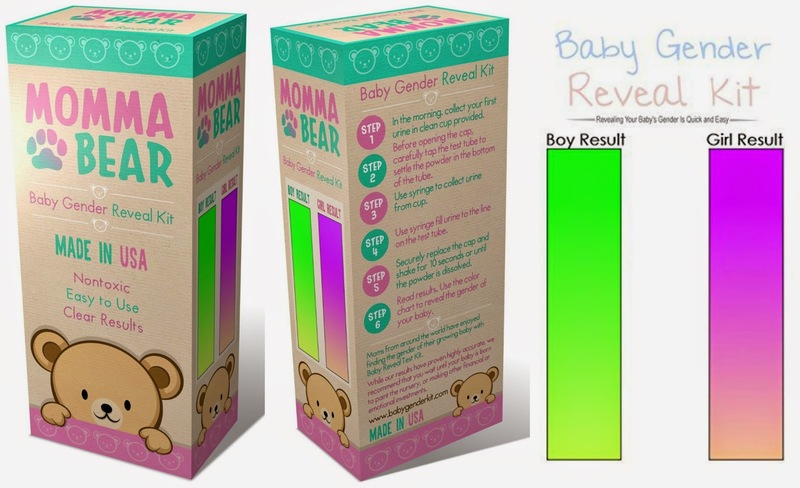 Momma Bear's Baby Gender Reveal Kit was designed for simplicity and ease of use. This little box contains all you need to get a Boy or Girl response. This came in the day after our ultrasound so we knew what result we should expect. Overall, the process was very easy, about the same as taking a pregnancy stick test. Simply pee into the cup provided (morning preferred), transfer required amount from the cup to the test tube using the syringe, seal and shake for a few minutes. While this product received some not so good reviews on Amazon, stating that the test will always provide a boy response, it was correct for us per the ultrasound the previous day. The main reason people think that there will always be a boy result is due to blue crystals in the vial, but in ours there are also pinkish crystals. Here's a close up. Forgive the glare. Pinkish & Blue Crystals in the tube. Overall, this a fun thing to give a try if you're interested. I could see using this for baby showers and just if you're curious. Remember, this is for entertainment purposes but the company does offer a 100% refund if you're not happy with it. This product is available on Amazon and for a limited time you will receive two tests for the price of one! Order yours here. Disclosure: This is a sponsored post. I received a complimentary product for purpose of review. My gender results were accurate but I cannot ensure that every test will be. All opinions are mine.